If you have recently inherited a property, want to rent out your home while you are abroad, or you have just invested some money in your first foray into the private rental market, then you will now need to start thinking about preparing your property for the rental market. As well as making your property look attractive to potential tenants, there are some basics that you will need to comply with, before you can put your property on the market. Here are ten things that any new landlord will need to do to get their property ready to rent. Before you even start getting your property ready to rent, you will need to make sure, if there is any mortgage over the property that you have lenders consent to let out your property. Speak to your lender before you go any further because, renting your property to a third party could well alter the terms of your mortgage agreement. Also, if your property was purchased on a long term lease, you will need to inform the freeholder of the property too. Inform your current insurers of your plans, or look for specialist rental property insurers to provide cover for your property. There are many insurance issues that a landlord has to consider, including contents, fire damage protection and cover for gas and electrical appliances. As a landlord, it will be your responsibility to ensure that the property meets all the necessary fire, gas and electrical safety requirements. Gas and electrical appliances will need to be fitted and maintained by approved suppliers and, the fire safety regulations that you will have to abide by will vary, depending on the type of accommodation that you are offering. You can get more advice from the Residential Landlords Association. All rented properties need to have an energy performance certificate (EPC), which will show tenants how thermally efficient the property is. For this, you will need to employ the services of an accredited assessor. You can search for an accredited energy assessor on the government website. Landlords are required by law to place tenants’ deposits in a government approved tenancy deposit protection scheme. These are designed to keep a tenant’s deposit safe, so long as they have complied with the tenancy agreement and there is no damage to the property or outstanding bills left at the end of the tenancy. You will also need to declare any rental income on your annual income tax self-assessment, but you can also set off some expenses against your income. 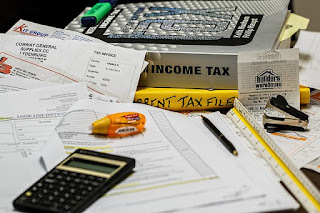 If you are not familiar with accounting and taxation, you might want to consider employing the services of a firm of accountants to do this for you. Whether you are letting your property furnished, or unfurnished, you will still need to complete an inventory for your own protection, as well as your tenants. These will detail everything that is in the property and the condition that it was in at the beginning of the tenancy. You can complete the inventory yourself, but it is advisable to use an experienced property inventory firm, or your letting agent. You will need a proper, legally binding, tenancy agreement that clearly defines your responsibilities, and those of your tenants, under the tenancy. If you are using the services of a letting agent, then they will supply this, but if you are not, then it would best to seek legal advice on this to make sure that your agreement complies with all the relevant rental regulations. What is equity release and how does it work?